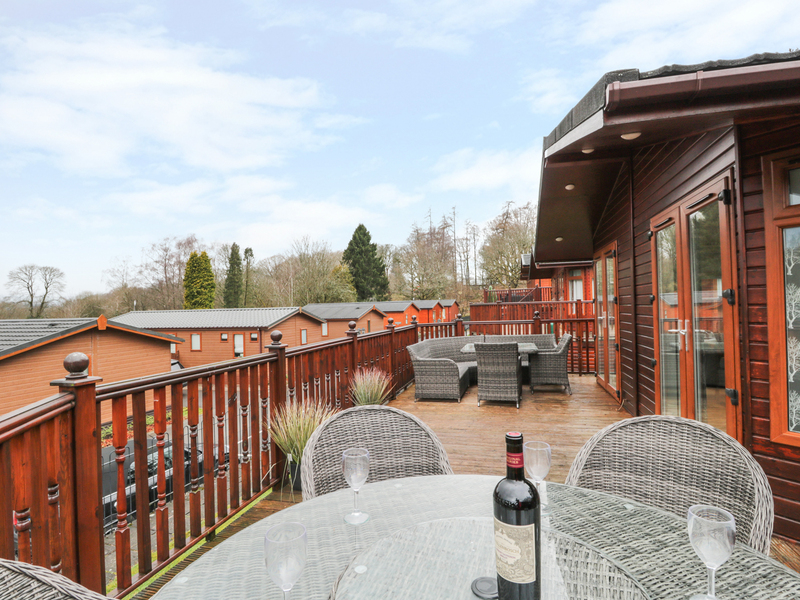 Lakeland View Lodge at White Cross Bay is a fabulous contemporary lodge offering comfortable accommodation for up to 9 people. There are three bedrooms, one en-suite double, a twin bedroom and a bunk bedroom that can convert to sleep a couple and a child. There's also a double sofa bed in the living area. The lodge is open plan with a fully equipped modern kitchen and squashy sofas around the feature electric wall hung fire. Patio doors lead to the private deck with outdoor furniture and hot tub, and there's off road parking for 2 cars. 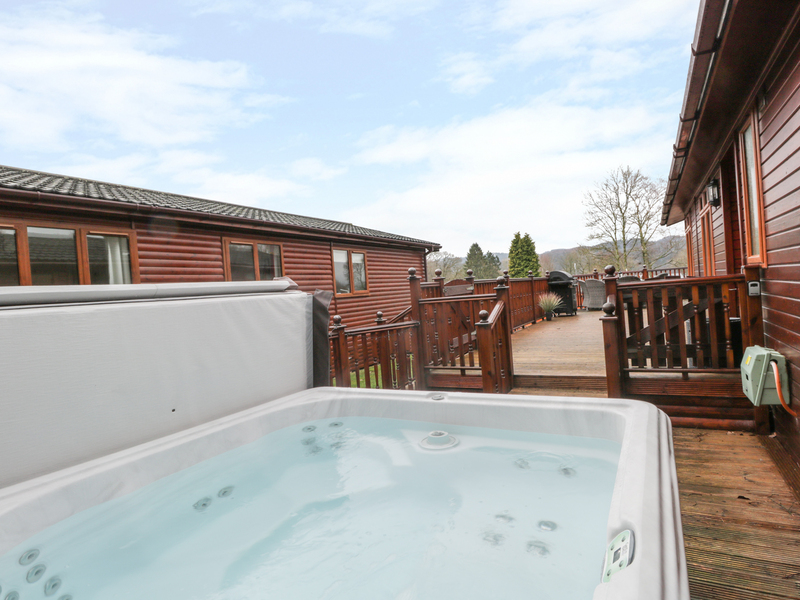 This dog-friendly lodge is close to Windermere and Ambleside at the heart of the Lake District, with fantastic facilities available at White Cross Bay. Lakeland View Lodge is a perfect home from home for a gathering of extended family and friends at any time of year. Ground floor level. Three bedrooms: 1 x double with en-suite shower room, wash basin and WC; 1 x twin; 1 x bunk bedroom (converts to double bed and child's bunk bed over, please state if required at time of booking). Open plan living, dining and kitchen area. 1x Seperate shower and WC. We also have details of 156 other similar properties nearby which might suit you.